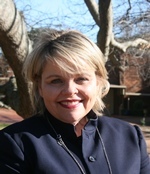 Mrs Jenny Ethell commenced as the Head at Oxley College in January 2019. 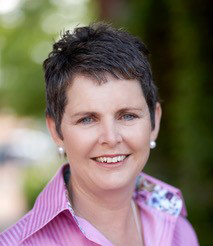 Previously, Jenny was Principal of Perth College – a leading independent girls’ boarding school in Western Australia. Jenny was educated at Curtin University in Perth where she graduated with a Bachelor of Business (Agric.) degree and a Graduate Diploma in Education. She has taught and occupied senior leadership positions at government, independent and Catholic schools in Queensland, Victoria, Tasmania, and Western Australia. Appointed as Principal in her 30’s, Jenny was Principal of Perth College from 2003-2018 and Interim Principal at Methodist Ladies College in 2002. During her career, Jenny has worked in single gender (boys and girls) and co-education settings. Committed to life-long learning, Jenny has studied at Harvard University, the University of Melbourne and the Institute of Company Directors. She has presented at and participated in a range of education conferences in Australia and overseas. Her longstanding experience and role as Principal has befitted the Association of Heads of Independent Schools Australia (AHISA) where she was Chair of AHISA’s Western Australia branch and a Director of the National Board for a number of years. She has also served on a range of other educational bodies over recent years. Jenny is married to Dougall, an Anglican priest and former Chaplain of Hale School in Perth. They have four independent daughters who work in their chosen careers across Australia and Singapore. Kate Cunich graduated from the NSW Conservatorium of Music with a B.Mus.Ed prior to completing a Masters in Educational Leadership in 2009. Before her time at Oxley, Kate was Head of Music at Inaburra School, also teaching English and Computing Studies while maintaining her interests as a freelance musicologist working with Musica Viva and the SSO. Kate is responsible for the academic programme at Oxley. She is committed to using best practice in learning and teaching in order to maximise student achievement, and as a result has spearheaded Oxley’s implementation of the globally recognised, evidenced-approach known as “Visible Learning”. Kate has regularly presented at Educational Leadership conferences in Australia and New Zealand, culminating in an invitation to speak at the 2014 International Visible Learning Conference in San Diego, USA. Kate has also worked closely with the global Visible Learning team on the soon to be released, Visible Learning in Action Case Studies book which features Oxley College. Mark Case joined Oxley College at the start of 2018, having been a Housemaster at Newington College in Sydney since 2011. His previous pastoral experience includes being Form Master for Years 11 and 12 and Deputy Head of Middle School at Trinity School in the UK from 2002. He has a Master of Arts from Oxford University and played rugby for the university as an undergraduate. Mark has a strong interest in critical thinking and has presented professional learning workshops at the 2013 International Boys’ School Coalition Conference and throughout Australia on the theme of ‘Inspiring Questions’ in 2017. Mark has been extensively involved in promoting social justice issues, initiating his previous school’s involvement in White Ribbon Day and establishing a partnership with the Asylum Seekers Centre. Justine Lind has worked at The Scots College Sydney as Co-Ordinator of the Preparatory School’s Honours Programme. She previously held the position of Deputy Head of the Junior School at St Catherine’s in Sydney and Deputy Head of St Andrew’s School in Adelaide. Recently Justine completed a Masters in Educational Leadership at the University of New South Wales. In 2015 Justine was appointed as the inaugural Head of K-6. Before commencing at Oxley, Beverley Harris spent twenty years in the corporate world of Sydney and London, working for Coopers Price Waterhouse as an audit manager. Clients included Smiths Crisps and Philip Morris. Beverley came to Oxley in 1995 and she manages the Financial and Non-Academic aspects of the College. Emma Calver spent ten years in the world of documentaries as an Associate Producer and Producer. She worked on numerous programmes including The Bookshow at SBS, many Film Australia documentaries in a variety of positions and as a Director of Serendipity Productions which produced The Young One – Portrait of Simone Young (AFI Nomination for Best Documentary). Emma moved to the Southern Highlands and became closely associated with regional projects. She began work at Oxley in 2007 and oversees admissions and community relations.